As smartphones become more and more powerful and offer the user more media features such as video playback, streaming TV, high-speed Internet and cutting-edge games, it seems that the time between battery charges gets shorter. Smartphone batteries have never been very long-lasting, so it has become somewhat second nature for users to look for ways to squeeze a little more juice out of each charge. Here are a few simple ways to make sure that the battery in your Samsung Galaxy phone lasts you through the day. Although the directions below are specific to Samsung Galaxy phones, they may still apply to other Android phones including those made by Google, Huawei, Xiaomi, etc. One of the quickest and easiest ways to save some battery power is to turn down the brightness of the screen back-light. There are a couple of different ways to do this. Open Settings > Display > Brightness and then move the slider down to wherever you think is acceptable. Less than 50 percent is advised if you really want to see a difference. You can also access the brightness control from the Notifications panel on Samsung Galaxy phones. Whenever you see the brightness slider, you should also see Automatic Brightness option. Checking this box will take control of the screen brightness out of your hands and instead trust the phone (using the ambient light sensor) to decide how bright the screen needs to be. 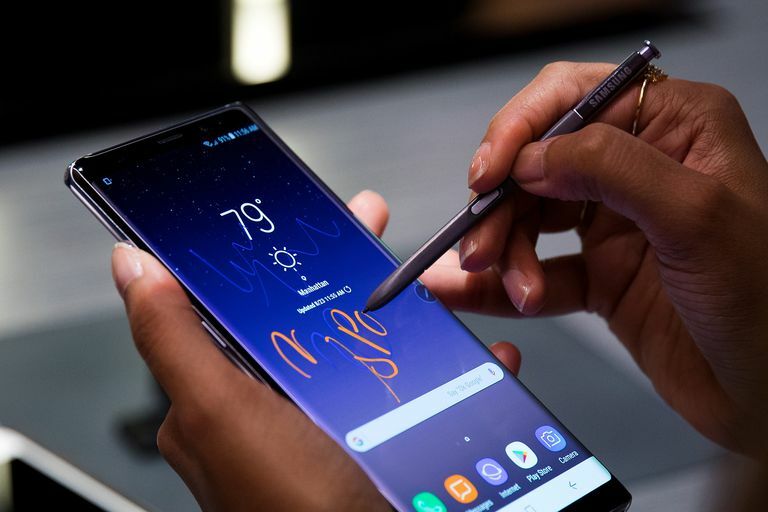 Included as a feature on several current Android phones, including the Samsung Galaxy range, Power Saving mode will, at the flick of a switch, activate several battery-saving measures. These include limiting the maximum performance of the CPU, reducing the amount of power going to the display and turning off Haptic Feedback. You can choose to turn some of these measures off in the settings, depending on just how desperate your battery charge level is. Although they can seriously prolong your phone's battery life, you probably won't want to activate all of these tools all of the time. Limiting the CPU, for example, will definitely ​affect the response speed of your phone, but if you need to squeeze a few more hours of battery life out before you can get to a charger, it can work well. If you are finding that your battery is not even lasting a full day, make sure that you are turning Wi-Fi off when you don't need it. Alternatively, if you are usually near a reliable Wi-Fi connection, set it to be Always On. Wi-Fi uses less battery than a data connection, and when Wi-Fi is on, 3G will be off. Go to Settings > Wi-Fi. Press the Menu button and then choose Advanced. Open the Wi-Fi Sleep Policy menu and choose Never. Having GPS turned on will drain the battery like almost nothing else. If you are using Location-reliant apps, then, of course, you may need to have GPS on. Just remember to turn it off when you aren't using it. Turn off GPS either with the Quick Setting buttons or go to Settings > Location Services. While you're in Location settings, make sure that Use Wireless Networks is not selected if you are not using location-reliant apps. This option uses less battery than GPS, but it is also easier to forget it is switched on. Another serious contender for the number one battery wasting setting goes to Bluetooth. Amazingly, there are many smartphone users who leave Bluetooth running all the time. Quite apart from this being a bit of a security issue, Bluetooth will also use up a big chunk of your battery power over the course of a day, even if not actually sending or receiving files. To turn off Bluetooth, go to Settings > Bluetooth. You can also control Bluetooth with the Quick Settings on your Samsung Galaxy. Having every bit of every home screen panel filled with widgets can have a bad effect on the life of your battery, particularly if the widgets provide constant updates (such as some Twitter or Facebook widgets). As this is a practical guide to saving battery power, I am not suggesting that you remove all widgets. Widgets, after all, are one of the great things about Android phones. But if you can lose just a few of the more battery-intensive ones, you should notice a difference. As with widgets, it is a good idea to periodically go through your apps list and remove any that you don't use. Many apps will perform tasks in the background, even if you haven't actually opened them for weeks or months. Social networking apps are particularly guilty of this, as they are usually designed to search for status updates automatically. If you really feel like you need to keep those apps, then you should consider installing an app killer to keep them from running in the background.